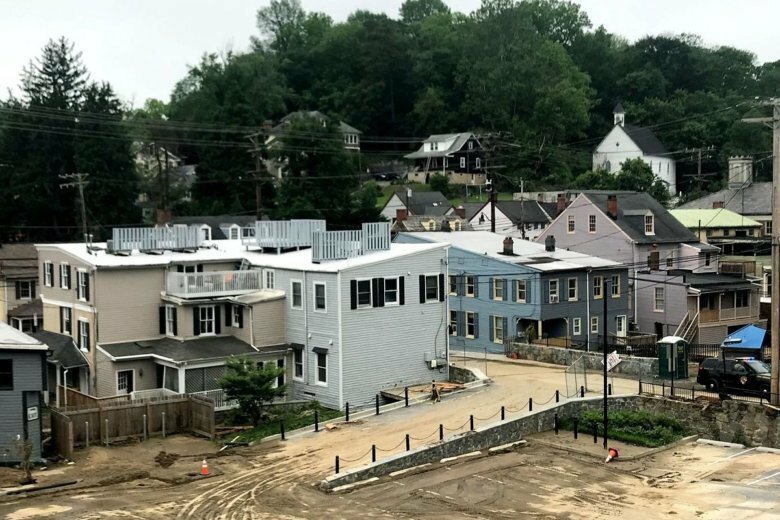 As residents and business owners on Ellicott City's Main Street remove mucky remnants of the May 27 flash floods, and weigh whether to rebuild, local leaders are raising the possibility it may be time to reconfigure the 246-year-old historic river town. 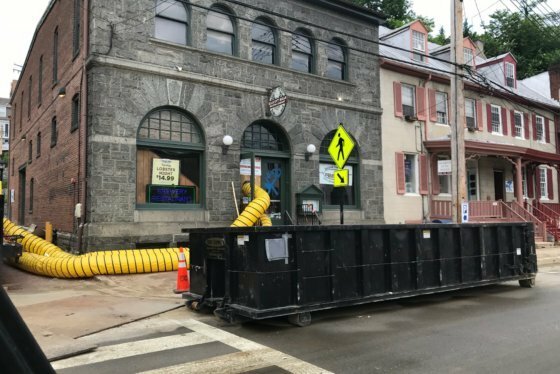 WASHINGTON — As residents and business owners on Ellicott City’s Main Street remove mucky remnants of the May 27 flash floods and weigh whether to rebuild, local leaders are suggesting it may be time to reconfigure the 246-year-old historic river town. Howard County Executive Allan Kittleman and Councilman Jon Weinstein, who represents Ellicott City, said Thursday that talks are underway with business and property owners to help plot the future of Main Street. Discussion of change in the historic district, which aims to balance preserving its heritage while creating economic growth, will be done systematically, Kittleman said. Many of Main Street’s shops are at the bottom of a valley, and have always been vulnerable to flooding — as evidenced by the 2016 and 2018 events, in which heavy amounts of rain fell in a short period of time. While Kittleman has said the freak nature of two catastrophic floods in two years couldn’t have been prevented, things can be done — and are being done — to try to reduce flooding damage. A firsthand view of the damage shows that there’s much work ahead and it is still unclear when Main Street can reopen, but a Howard County Council member said Ellicott City may come out from the wreckage looking much different. Kittleman has not said whether any changes will be made in the county’s 2017 watershed master plan — the blueprint for the county’s efforts to endure future floods. Nearly three dozen projects, ranging from completed stream cleaning to already-funded storm retention ponds and the soon-to-be-installed 48 additional stream gauges for a future early warning system are listed on the county’s watershed master plan website. Other options include lessening the focus on the most flood-prone portion of Main Street, and rebuilding new businesses further uphill. A ban on parking on Main Street, to reduce destruction caused by cars during floods, has been discussed. The most dramatic — and expensive — possibility in an engineering study commissioned after the 2016 flooding recommended drilling two tunnels through Ellicott City’s hills to redirect water from downtown, or building 18 stormwater management projects. Currently, the master plan shows two stormwater retention facilities have been funded and three are being designed. In an election year for both him and Weinstein, Kittleman is seeking input from people already invested in Main Street.